Home › Search › Search Marketing › Get rid of the spam link I left on your site! Get rid of the spam link I left on your site! I’ve been receiving the same kind of e-mail over and over again lately. Because Google has finally started to crack down on spammy links, webmasters everywhere are beseeching other webmasters to remove the links that, not too long ago, they desperately wanted pointing at their sites. I guess I can understand that, but what I can’t understand is how nasty and rude they can be in doing it. I’m just getting tired of the attitude they seem to have when they write to me. 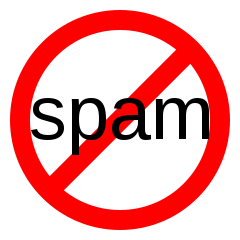 Google has informed us that there is a spam link coming from your site to our site that we are being penalized for in our search results. Please remove this link as soon as possible. Thanks. Maybe that sounds nice to you, but it irritates the crap out of me. Why? Because it makes it sound like I did something wrong that I owe it to them to correct so that they can regain their rightful God-given Google rankings. “I know you are busy but I would really appreciate a favor. We really screwed up when we hired a company to do search marketing for us because they went out and placed many spam comments on blogs including yours. We’re sorry that we were responsible for that. Most people don’t respond to my e-mail, but a few do, chastened. For me, these are the few who inspire hope. I’ve asked a few of them why they send such a disingenuous letter, and they tell me that they don’t believe that anyone would really help them if they told the truth. To me, this is sad. They have the spammy links to their sites because they tried to fool blog owners and Google. When Google catches on to their chicanery, they decide to try to fool the blog owners again–to make those poor blog owners think they did something wrong. To me this is the worst part of SEO–the ugly underbelly that survives on cheap tricks and cheaper lies. When we all stop trying to feign quality and start actually creating it, then search marketing will really become useful to searchers. Fewer Links to Your Site In Google Webmaster Tools? You’re Not Alone. Ann, I may have professional feelings for you. Build links that people want to click. Track referrals from those links. Track a few hot keyword rankings from referring URLs and apply Slingshot SEO’s click-through-rate study numbers. Feel good about all that. Tell a friend. Sleep.